Among the half-dozen breeding owl species in the Commonwealth, the nearly cosmopolitan Barn Owl (Tyto alba) is clearly one of the most unusual. Almost completely nocturnal (active at night), Barn Owls are so inconspicuous that they can sometimes go undetected even in localities where they may be fairly common. In Massachusetts, the raspy nocturnal shrieks of this owl are seldom heard away from their principal year-round nesting areas on Martha’s Vineyard and Nantucket, where they are close to the extreme northeastern limit of their range in eastern North America. In Massachusetts, any Barn Owl found away from their favored haunts on the offshore islands is decidedly unusual. Consequently, the recent discovery of a dead Barn Owl on the surface of the snow at Dunback Meadow in Lexington (reported to our Wildlife Information Line) was most notable. Out of context the frozen corpse of a Barn Owl in Lexington might simply seem to be an anomaly. However, when all the facts are considered, it may not be as anomalous as it first appears. At over 170 acres, Dunback Meadow is the largest conservation property in Lexington and it is comprised of a variety of habitats including an extensive open wet meadow and a pine grove. This combination of habitats is highly favorable to several species of small rodents and shrews, most notably the Meadow Vole (Microtus pennsylvanicus). The Meadow Vole is frequently the number one prey species for several open country foraging raptor species, especially Northern Harriers, Rough-legged Hawks, Long-eared Owls, and Short-eared Owls. In winters when any given field is heavily populated by voles, some of these raptors occasionally become concentrated, much the way high populations of lemmings may concentrate jaegers and Snowy Owls in Arctic tundra areas. This winter two Rough-legged Hawks and as many as four Long-eared Owls have regularly been recorded at Dunback Meadow – an indication that the vole population in the meadow is probably high this season. Add to the abundance of food the recent bitter cold wave accompanied by a foot or more of newly fallen snow, and suddenly there is a combination of extreme stressors for a semi-hardy, rodent-eating raptors like Barn Owls trying to survive at the northern terminus of their range. But why was the Barn Owl in Lexington in the first place? 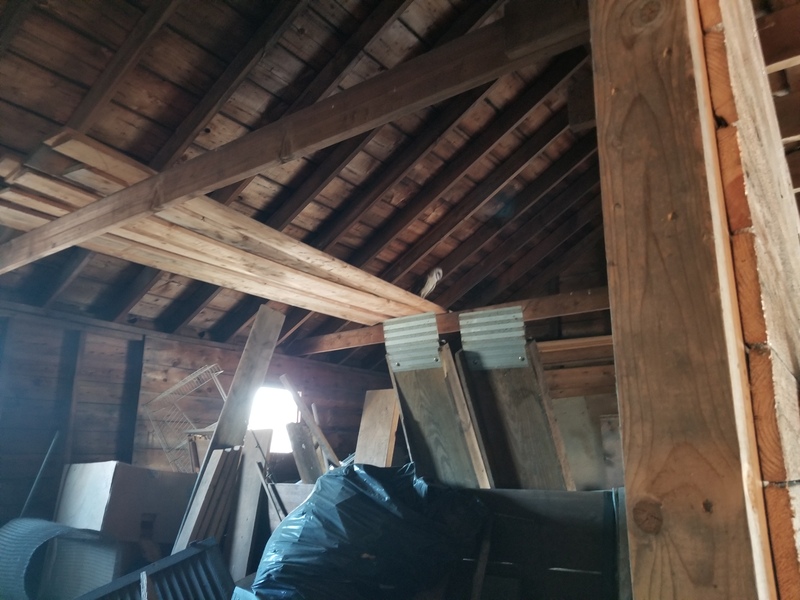 While the definitive answer may never be truly known, it is plausible to think that the Lexington Barn Owl was a wandering individual that was attracted by the same high concentration of rodents that had attracted the Rough-legged Hawks and the Long-eared Owls. But when it was suddenly confronted with a bitter cold wave accompanied by a foot of fresh-fallen snow, it probably became over-stressed and starved to death. 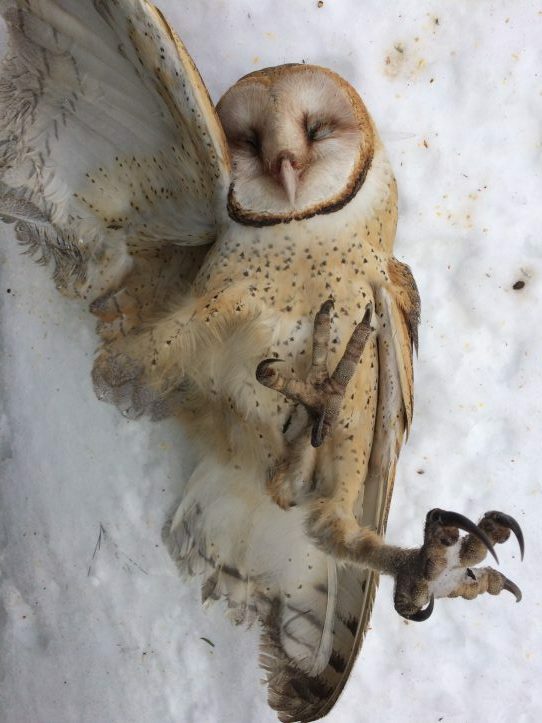 And from a belated report of a Barn Owl in a nearby garage several days previous to its being found dead on the snow, it seems likely that the owl may have been in the area for a period of time before meeting its demise due to starvation and the frigid cold weather. This entry was posted in Birds and Birding and tagged bird sightings, birds, unusual bird, wildlife information hotline on January 16, 2018 by Wayne Petersen.